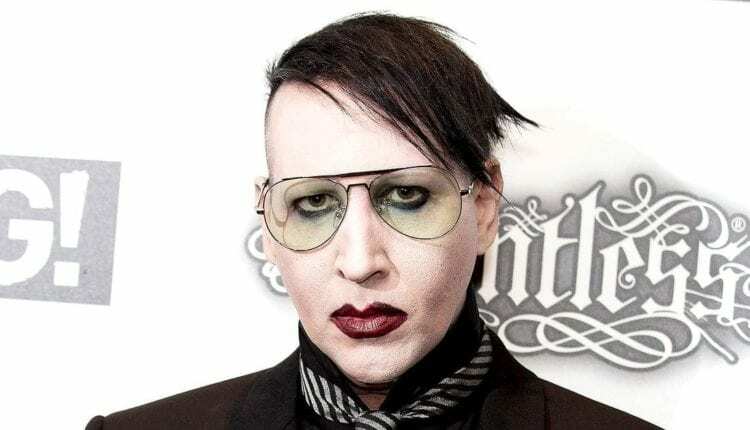 Returning to New York for the first time since his fall from a stage prop tipping over on him at the Hammerstein Ballroom in September, Marilyn Manson is once again making headlines while performing in the Empire State. As described by concert goers in attendance at The Paramount, an intoxicated Manson took the stage, performed a few songs, and rambled incoherently before walking off stage early. People.com reports that Manson used his past injury as part of his stage act at the beginning of his set, as he was pushed out on stage in a wheelchair by guys in hospital scrubs. While keeping his back to the crowd for most of his brief performance, he started and stopped songs several times, and incoherently played the guitar for several agonizing minutes. The show at The Paramount was originally slated to take place on Oct 9, 2017, but Manson’s stage injury put him on the shelf for nine months, canceling and rescheduling several tour dates.